This is the new "Home" page for the Forum. Top post, click on "Forum". "Cool! Thanks David. Turns out it wasn't all that special of a scheme - just Henley's Petty blue and yellow scheme used often. The scheme was... "
Rick, I am one of those girls that worked so hard at the race track. We sold tickets, made snow cones, worked in the concession stand, ran errands for daddy, picked up the trash every week, cleaned the concession stand and bathrooms, I wrote daddy's news/press releases, counted the money for bank deposits (all presidential heads had to be facing in those days for the bank to take it and coins had to be rolled), daddy and my brother graded, packed, and watered the track, cut grass. I can't think of any job that my family did not do. It was hard work, but I really loved it. Still miss the "ole" Fayetteville Speedway. *I even sewed for daddy and made his flags. 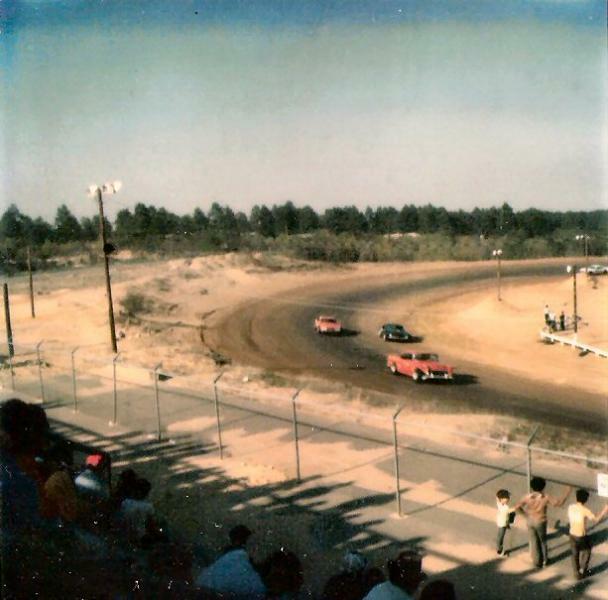 "Racing History Minute - July 1, 1961 "
"From all I can tell the Eastern Late Model Division only ran from 1960 thru 1962, that corresponds to the end of the Short Track Late Model Series,... "